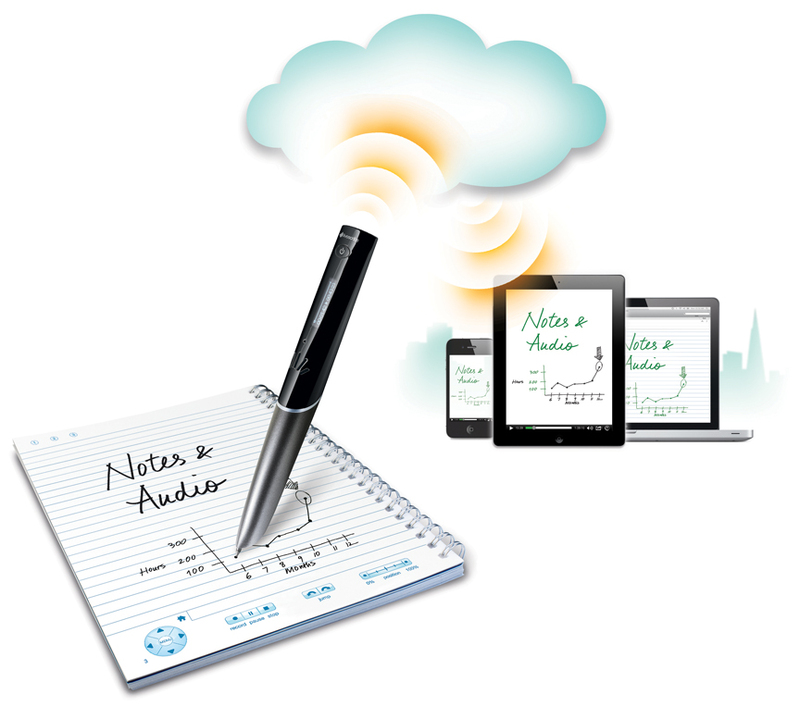 The Sky Wifi Smartpen from Livescribe is a WiFi enabled pen that has a built in audio recorder. This allows you to digitize handwritten notes which you can sync to Evernote wirelessly when in a compatible WiFi hotspot. (See below for Evernote description) The smartpen allows you to take handwritten notes which are linked to an audio recording of what was being said at the time you wrote your notes. The pen can record audio using a built in or external microphone. Using specially designed note paper, you simply touch "record" at the bottom of the dot paper page and begin writing notes. The camera at the bottom of the pen tracks where you write and the built in microphone records what is being said. The result is that your writing is linked with whatever was spoken at the time. In other words each pen-stroke is linked with the sound that you heard at that time. So if you are in class and your teacher is discussing President Washington and you write "President Washington" later you can playback everything the teacher said about Washington at that time by touching the pen to the words "President Washington." Many of the pen's functions are accessed by touching buttons printed on the specially designed dot paper with the tip of the pen. When you are done taking notes you simply press the stop button at the bottom of the dot paper notebook and your handwriting and audio recording is automatically synced to Evernote. Click here to view a sample note. From Evernote you can view the note and listen to the audio or share the note. Click read more below to read the full review. The Sky Wifi Smartpen has numerous benefits for students, business people, and teachers. The pen allows you to hand write your notes but still have them available electronically. The linked audio is great for reviewing and remembering class notes or business meetings. Also you do not need to worry about using a stylus and tablet. Setting up the Sky WiFi Samrtpen was a bit complicated. Luckily it is a one time set up. In order to connect to Wifi you must use the printed keyboard on the inside cover of your specially designed dot paper notebook. However, you currently cannot connect to wifi networks with hidden SSIDs or networks that require a sign-in or agreement page to connect. 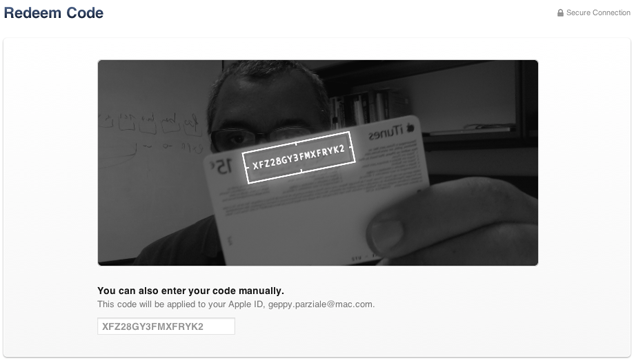 Connecting the pen to your Evernote account is very easy. The smartpen looks like a normal pen but is a bit thicker in order to accommodate all of the electronics. It is comfortable to hold and easy to write with. The pen only includes one physical button which turns the pen on and off. On the front is a small screen, microphone, and speaker. The microphone works well even from long distances, but sometimes picks up the sound of the pen writing. The speaker is adequate for personal use in a quiet room but you can also plug in headphones to the headphone jack on top. The top also has a micro-USB for charging. On the bottom is the ball point tip which is replaceable and a camera which tracks where you are writing on the dot paper. The bottom half of the pen has a slightly rubberized feel that prevents the pen from slipping from your grip. Having wifi turned on degrades battery life but you can turn wifi off by taping the wifi off button on the front cover of your notebook. Evernote integration is a huge plus for the Sky Wifi Smartpen. 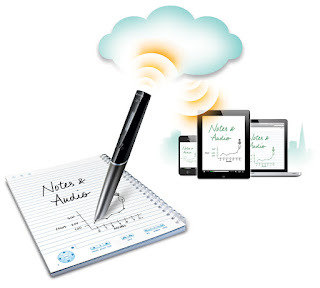 It makes it seamless to view and listen to your notes on virtually any devices. Evernote is a free internet storage service designed especially for note taking. Evernote is an online services designed to help you organize notes and information. Evernotes has apps for iOS, Android, Windows Phone, Blackberry, Windows, and Mac. Evernote also allows you to search for text within your notes and organize notes using tags. Evernote also makes sharing a breeze. Your shared pen casts can be view and played on almost any device with the Livescribe player. From within the Livescribe player you can click on any part of your notes to hear what was being said at that time. The smartpen needs dot paper to work. You can print the dot paper from certain printers or buy it from Livescribe's website. The dot paper comes in notebooks, sticky notes, or index cards and cost somewhat more than normal paper. One small notebook is included with the smartpen. You can add a recording headset that adds external microphones for increased audio quality. Standard headset such as the Apple headphones with microphone will also work. The smartpen has exciting educational applications. It can be used to help students who have trouble with note taking or who need a little extra help reviewing for tests and quizzes. Students can outline notes and rely on the audio to supplement anything that wasn't written. It could also be used for people with attention issues because if they forget to write down something they can still go back and listen to what they missed. One very exciting application of the pen is for students who are exempt from taking notes. The student who takes notes for the students with disabilities could use the pen to take notes and then immediately email the notes to any student who needs them. This would eliminate any delays in receiving notes and would also not require a teacher to make copies. It also eliminates concerns about the readability of carbon copy notes. Sometime in early 2013 a wireless software update will allow you to share your notes to Dropbox, Email, Facebook, and Google Drive. Stay tuned to the Assistive Technology Blog for news about the Sky Wifi Smartpen. The Sky Wifi Smartpen costs $150 for 2gb of storage, $200 for 4gb, and $250 for 8gb. Storage is internal and non-upgradable. The smartpen is available online at Livescribe.com and select Best Buy stores. The device was provided complimentary to reviewer . 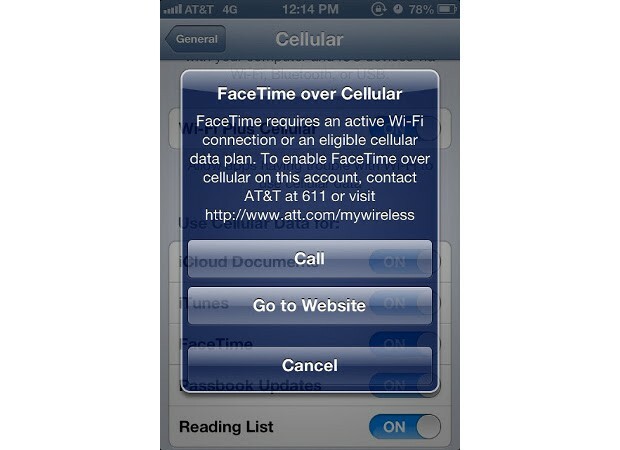 iPhone FaceTime over cellular for AT&T now available for some, even without LTE? AT&T's decision to let only its customers on shared and new data plans pick up FaceTime over cellular may have riled some, but at least it's been able to roll-out the functionality earlier than the two-month window suggested in early November. MacRumors' forums are abuzz with word that their iOS devices (mostly on the East Coast) are now able to make FaceTime calls without WiFi. Perhaps more importantly, according to these early reports, you might not have to wield an LTE iDevice to use it, with several non-4G devices running iOS 6 able to stream faces elsewhere. If you're still getting the pop-up of misery (seen above), forum users suggesting switching your phone off and on again. 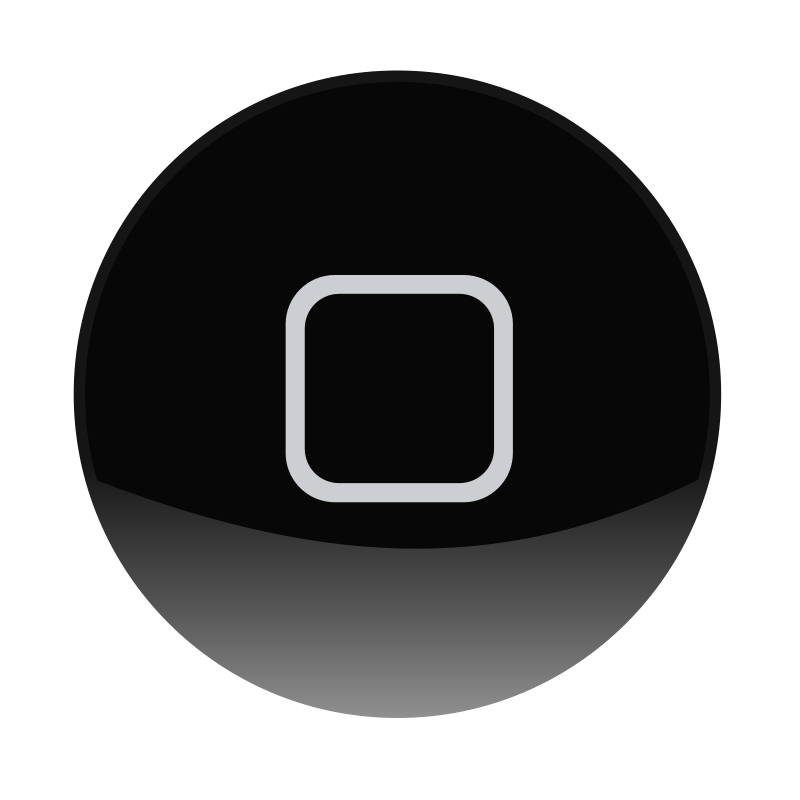 The iPhone, iPad, and iPod Touch home button does more than just take you do the home screen. With a quick double tap it can bring up the multitasking pane or music controls. With a quick tripple click it can be used to start an accessibility feature such as VoiceOver, Zoom, Assistive Touch, or Guided Access. If you find it difficult or impossible to double or tripple click the home button quickly you can slow down the speed in settings. To slow down the home-click speed go to settings > general > accessibility > home-click speed. This setting is only available in iOS 6. To learn how to upgrade to iOS 6 click here. This setting will allow you to press the home button much slower in order to activate the double or tripple click actions. Watch the above video to learn more. One of the things I've noticed since I built my own home theater personal computer (HTPC) is that there are a lot of people who have a great genuine interest in helping others with electronic (hardware or software) issues. The reason we take the time to do that is because it makes us look more smart and intelligent and if you do exactly that on the Internet, you are showcasing your mental power to the world that you are for lack of better term, "Smart." So, what we have a lot of on the Internet today is a lot of "noises" about how to fix this or that or how they were able to work around an issue all in the hope of helping others or for other reasons. Sometimes there are a lot of "noises" about nothing than real information, which can hinder someone's progress in whatever they are doing. It took me months, before I found the information on the Internet I really needed to solve my computer problem. However, I am glad to know that people care about sharing information whether real or something about nothing. In this post, "How to enable sound on HDMI port on Fedora 16?," I hope to provide a real information all in the hope that it will help someone somewhere on this planet. Since I built my HTPC, I have been running GeeXbox OS, Linux Media Center. It allowed me to play videos on the Internet and watch my favorite movies and TV Shows. Setting up Geexbox was very easy and it worked the first time just the way I wanted it - being able to watch my shows and program all through my video cards' output port HDMI - video and sound. However, I felt GeeXbox was somewhat limited in that you can only watch whatever is available through their Video Add-Ons only and they only had handful of good video add-on. I realized the Internet has to be much bigger than that. So, I decided it is time to test drive a different Linux Operating system or distrobution rather than just media center. Having used Fedora OS for such a long time on my desktop, I felt I will give it a try first on my HTPC and see if it was any better. So, I downloaded their Fedora 16, latest stable distrobution. Even though Fedora 17 is out, it has its own issues which I think is currently being resolved. My Fedora 16 OS test went well. I was able to install it successfully on my HTPC and use it like any other operating system, until I tested my hardware - one being High Definition Multimedia Interface (HDMI) output on my video card. Although it was able to send video to my LCD TV, there was no sound of any kind that came through my TV speakers and I know HDMI output is capable of sending video and audio on the same output. So, I spend many days and nights reading, surfing the net for information and trying what people suggested online, but I still couldn't make it work or figure out why I simply can't tell Fedora 16 to send the audio signal to my video card HDMI output port, but I was able to gather information from several websites on "how to enable sound on video card HDMI output?" Finally, after all this time of banging my head against the wall and pulling my hair, I was able to make it work. Hopefully, it will work for you as well. Here are the steps on "How to enable sound on video card HDMI output on Fedora 16?" Reboot your system, access your BIOS setting and under audio configuration disable all the audio devices on your motherboard. You really don't have to do this if you don't need to. I did it because it made it easier for me. If you do this step, your other sound devices may not work. Open your terminal program and execute the following command below. This command will update your whole Fedora system with any available updates. It is always a good idea to be up-to-date before you troubleshoot your system. This may take 5 to 10 minutes to complete. Once completed with the update, reboot your system and execute the following command below on your terminal. Your grub file should open up with text editor. Add the following line below in the grub file at the end of the kernel line and save it. Run the following command just as you see it below on your terminal. Just copy it and paste it into your terminal and run. 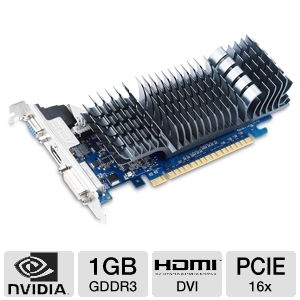 This will go out and look for the latest binary driver for your Geforce Nvidia Video Card. The reason you need the latest driver for your card is that the generic "nouveau free Xorg" driver that comes with your Fedora OS does not support HDMI output fully at all. After downloading the binary driver, once again you have to update your system as you did before by executing the following command on your terminal as you see it below. This time it shouldn't take no more than a minute or two. For me, the above step is all I need to do to install the Nvidia propitiatory driver. However, I have found out that for some people, you actually have to install a specific driver based on your system. If so do the following. For 64bit Users: �su yum install kmod-nvidia xorg-x11-drv-nvidia-libs.i686 xorg-x11-drv-nvidia-libs.x86_64"
A.) For 32bit Users: �su yum install kmod-nvidia xorg-x11-drv-nvidia-libs.i686? B.) For 32bit Users using the PAE kernel: �su yum install kmod-nvidia-PAE.i686 xorg-x11-drv-nvidia-libs.i686? Once completed, you probably should reboot your system and then continue on to step 9. Then, execute "aplay -l" without the quotes on your terminal and it will give you a list of audio devices available. 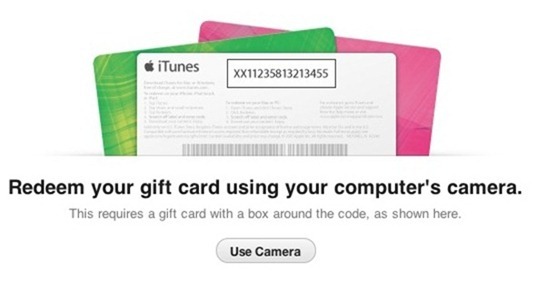 Make a note of the card number and device number you want to use from the list it displays. Run the following command as you see it below on your terminal. It will open a file with a lots of information in it including audio driver info. In the default.pa file you just opened, find a section that deals with audio driver. As the last line in the audio section, add the following line as you see it below but with one exception. You will have to replace 1 with your card number and 7 with your device number as you took note from the step 9. Then, save the file and close it. Now, go to your sound settings in your Fedora system and select the audio device you want to use. Plus, you may also want to make sure that everything is enabled and nothing is muted on your alsamixer. Now, you are done! Just reboot your system. *Note: If this doesn�t seem to work for you, in step 4, instead of �rdblacklist=nouveau�, try �nouveau.modeset=0? These steps worked for me right away. Thanks to everyone who posted self-help information on this perticular problem. If you are still having problem and can't figure out what is going on or simply want to ask me question, then drop me a line at godblessyouu@gmail.com. UPDATE: This issue in Fedora 16 and/or 17 is fixed in Fedora 19 the latest distribution. However, I found out that once you make the move from Fedora 16 or 17 to 19, you will no longer be able to do the above steps to get your audio working if you want to go back to Fedora 17 or 16. I tried that I couldn't get the audio to work at all. I believe, that's because drivers and kernels or what not in your repository has been updated for Fedora 19. Good Luck. I was a part of a much anticipated website redesign and relaunch recently. I fervently monitored post launch metrics, page crawl rate, 404s, indexed pages, and so on as any other anxious SEO professional would do. While reviewing the pages crawled per day in Google Webmaster Tools, I noticed that out of the gate we had an instant crawl of nearly all site pages. I passed this on to the client for which I got the quick reply of, �Why is it crawling more pages now than it used to crawl?" Seeing this reminded me yet again of all the reasons why sound SEO practices on-site can help aid in crawl frequency enhancement. Through the redesign, we enacted several SEO elements, which have helped to allow and some instance entice crawling bots to frequent the site more often�and more pages at that. Let's examine how those elements increased Google's crawl frequency. SEO, to many, hinges upon attaining enhanced visibility for highly searched terms as well as referring this traffic to their sites. Taking our blinders off for a moment, there are a few things we have to remember. We want to rank many pages on a site, not just the homepage. Additionally, we're actively making changes to our sites and we want bots to see this as quickly as possible and as deep within the site as possible. As mentioned above the redesign effort did a good job of lending to the opportunity to enhance crawl frequency as so many good SEO changes were taking place at once. Additionally, so much more new content and refreshed content drives the bots nuts giving them so much more to want to peruse on the site, thanks Google Caffeine! For many out there, you can�t enjoy the opportunity of creating a full scale redesign, platform change, and SEO overhaul of a site all at once. If this is you, then the list below is a working order of all the standard SEO practices you can work on to improve crawl frequency on your site. Run a DNS check, Ping and Traceroute check of the site to assess if there are any issues with site pages loading with regard to connectivity or any other server issues. Can the bots even access your pages? Run a page load speed report of your 10 most important pages to review how fast your pages are loading. Crawlers lack patience. Are you asking too much of them? Utilize parameter-free static/clean URLs on the site. Bots have long had issues with parameter crawling. Yes, they can often see their way through these now, but why not make it easier for them to crawl the site? Review your robots.txt file as well as your usage of meta robots tags. What pages are holding from them? Have an XML sitemap as well as HTML sitemap. Enlist supplemental navigation on-site (i.e., footer navigation, breadcrumb navigation, and relevant internal linking in copy). Create pathways to make a site easy to crawl. Fix internal links resulting in 404 errors as well as ensuring that external links open in new windows. You don�t want to stop the crawl and you don�t want to usher them away. Generate fresh content! This may be the most important point in the checklist. Give them a reason to feel they should come back on a regular basis. This doesn�t mean you need new content site-wide every month, but it does mean refreshing existing content on a quarterly basis and maintaining site sections � news, blog, etc. �that have continuously added content onto the domain. Generate links and social citations to your site. This can be a large scale task in itself. Think of it this way: the more links you have out on the web, the greater your chances are of attracting crawling bots. Think of links as portals into your site. As you can see, there are many components that aid in enhancing your bot crawl frequency and depth of crawl. These are also many of the foundational elements of SEO. This helps to reinforce that crawl frequency, is after all, a very important aspect of SEO itself. Adhere to these recommendations and you will have a better optimized site and hopefully see an enhanced bot crawl rate. The new Wii U console could let Nintendo shrug off its casual gamer image and enhance its appeal among core players. Nintendo is gearing up to launch its new Wii U video games console - and aims to address the shortcomings of the original device. The Wii U is the first entry in the eighth generation of video game home consoles and delivers HD graphics and a 6.2-inch touchscreen controller. Nintendo deliberately targeted the casual market with its original Wii. Game designer and producer Shigero Miyamoto, the man behind the Mario and Zelda games, admitted this decision meant the Wii was not seen as a direct competitor to its Xbox 360 and PlayStation 3 rivals. The Wii had inferior graphics, but the new Wii U pushes the resolution up to 1020p on high definition TVs and monitors which support this display. But the most radical innovation is the tablet-style controller, an attempt to mix traditional console gaming with the ever-more-popular casual touchscreen gaming of iPads and other tablets. The controller, which features its own screen, can be used either to enhance the big screen gaming experience or as a standalone handheld device. "What we're layering on are all types of new unique experiences," said Nintendo of America president Reggie Fils-Aime. "Sure you'll be able to use the touchpad just from a touch perspective, but there will be a lot more activity that we'll be able to bring. "For example, this device has near-field communication technology. So that brings a whole new level of interaction and different things that can be done beyond what you can do today with a tablet. "But really the key part of this is that it's all one integrated system. So what you can do on the big screen and what you can do on the smaller screen. "It's all connected, versus right now those are very separate experiences that aren't talking to each other." Over the summer at the Electronic Entertainment Expo in Los Angeles, Nintendo illustrated how New Super Mario Bros. U could be played on either a TV or the touchscreen controller. The latest instalment in the brick-smashing, coin-collecting franchise lets up to four people play simultaneously with traditional controllers, while another can join in with the touchscreen controller to jab enemies and build platforms. New Super Mario Bros. U and another title called NintendoLand demonstrate what Nintendo calls "asymmetric gameplay" - where a group of people playing together are having very different play experiences on a single game. And after taking on board criticism of the original Wii's awkward online system, Nintendo has boosted the new console's connected capabilities. "The system will know when you're playing with your user account - everything that you've played in the past, what your preferences are," said Mr Fils-Aime. "So it will truly be an experience unique to you. Versus if your wife or your children want different experiences, they really are tailored for each particular consumer. The Wii U is scheduled to be released on Saturday in North America, November 30 in Europe and Australia, and December 8 in Japan. Google's recently update Google Voice Search is very useful and extremely fast. There are also a few tricks that can make the app even more useful. One trick is to ask Google Voice Search "how do you spell..." Google will quickly return the correct spelling of the word and speak the spelling aloud. Unlike Siri, Google Voice Search speaks the spelling back to you so you do not need to look at the screen. This trick is especially useful for people with dyslexia and people who are struggling spellers. PDF Expert is an elegant PDF manager, viewer and annotator. The app is available for iPhone, iPad and iPod Touch but the iPhone version and iPad version must be purchased separately. You can easily add PDF to the app by using the "open in" feature. Once you have PDFs in the app you can organize them into folders and sub-folders. The highlight of PDF Expert is its annotation features. PDF Expert allows you to quickly and easily add note, text, signatures, watermark stamps, images from the camera roll or audio notes to any PDF. You can search for a PDF by title or by the contents. PDF Expert also includes a passkey lock feature that allows you to protect your sensitive PDFs. Unfortunately, PDF Expert does not include text-to-speech for PDFs. Even PDFs created on the computer cannot be read allowed. Also there is no optical character recognition feature for scanned PDFs. If these features are not important to you than PDF Expert is a great choice because of all the other great features. If text-to-speech is important to you than you may need to look elsewhere. PDF Expert sells for $9.99 in the App Store. Click here for the iPad version and here for the iPhone and iPod Touch version. Click read more to view screenshots of PDF Expert.